Last year, Huawei raised the bar for AI pretty high: the Chinese manufacturer demonstrated the power and speed of its AI in a self-driving car, it also succeeded to translate the sounds of humpback whales into a love song, and lastly, it introduced deaf children to the wonderful world of literacy via its StorySign app. Although Huawei has done a lot in this sector, the mobile brand doesn’t want to settle down and pushes for more. That’s why it wants to support the beautiful symbiosis between technology and culture. Ladies and gentlemen, boys and girls, meet Huawei’s most creative action to date: by embracing the power of AI, the brand managed to finally complete Schubert’s famously unfinished Symphony No. 8. Created in 1822, the composition was left without a proper ending. Until now. 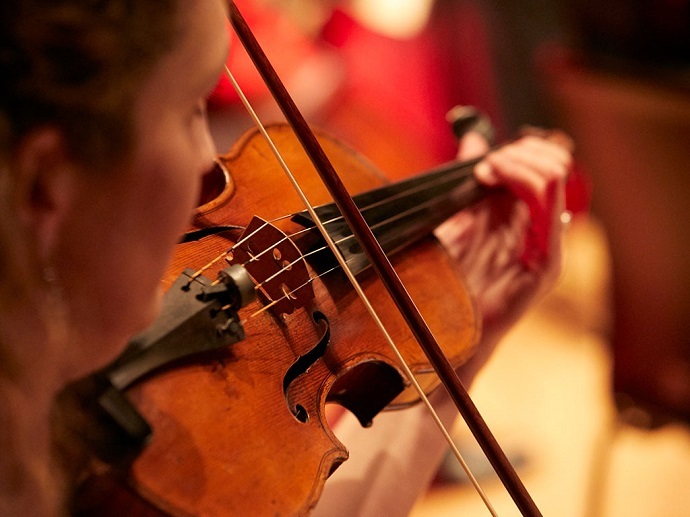 Two centuries later, Huawei decided to use its latest technology to give a boost to one of the most intriguing symphonies of all time. So, how exactly is the “Unfinished Symphony” written in the key of technology? First of all, Schubert’s Symphony No. 8 comprises of only of two movements, along with an outline of a third. The Mate 20 Pro smartphone ‘listened’ to these movements, analyzed the key musical elements, and then generated a whole song for the parts that are missing, for the third and fourth movements respectively. Finishing the masterpiece was possible thanks to a close collaboration between Huawei and Emmy award-winning composer Lucas Cantor, who was brought on board to put in order an orchestral score based on the melody the Mate 20 Pro phone created to complete the symphony and perform it live. “The result proves that technology offers incredible possibilities and has a significant and positive impact on modern culture,” elaborated Lucas Cantor. 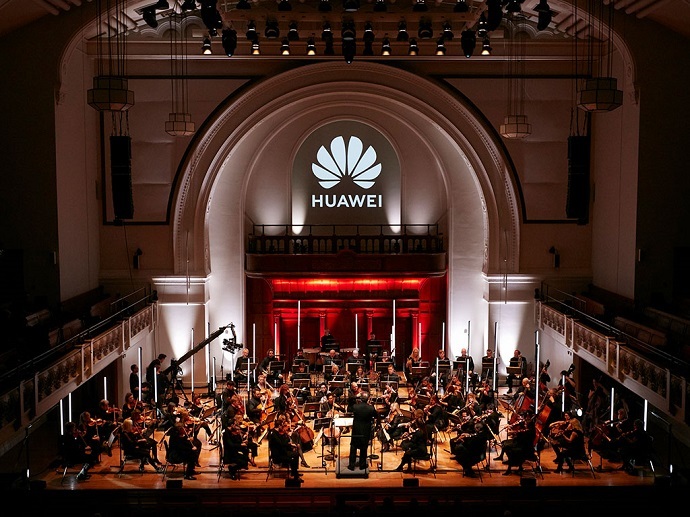 Huawei unveiled its symphony with a live performance that took place at the iconic Cadogan Hall in London on Monday 4th February. 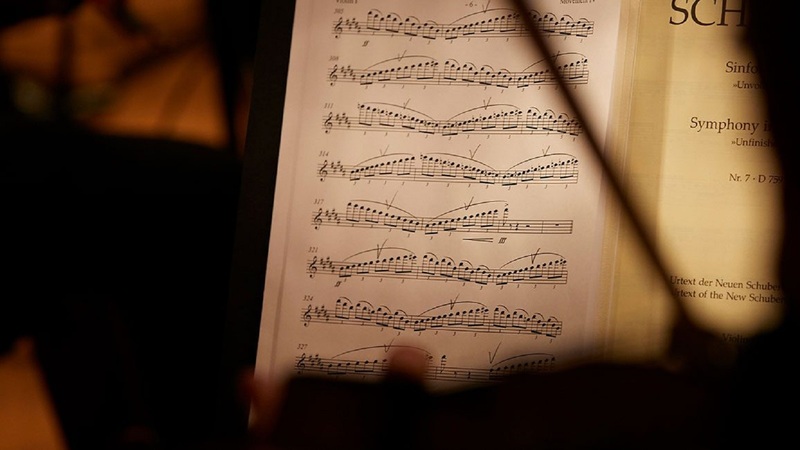 More than 5,000 people attended the event, first immersing themselves in the unique part of Schubert’s symphony, then slowly moving towards the brand’s completed third and fourth movements for the very first time. The new piece sounds exceptional, almost as if it were created by a human hand. But that’s not the case. Huawei’s Mate 20 Pro smartphone was the star behind this masterpiece. But still, how much did the phone and its AI contribute to complementing Schubert’s Symphony? “The entire melody [for the third and fourth movements] was composed using artificial intelligence and the Mate 20 Pro,” Huawei’s head of handset portfolio, Arne Herkelmann, told Digital Trends who attended the one-of-a-kind event. “In the beginning, it was all Schubert, so the A.I. could understand what Schubert did,” Herkelmann continued. “In the later process, we also trained it on composers we knew influenced Schubert to make sure there were this richer background and context to the work.” This helped the AI better understand its job. With all this training AI could deliver a melody that comes very close to what Schubert did. Fascinatingly, the melody delivers an emotion that is hard to achieve, even by humans alone. You feel like you’re living 200 years ago, watching Mr. Schubert humming his Symphony, all completed, from tail to toe. Curious what it feels like? Download the MP3 or even a WAV format and have a listen by yourselves!